‘Avengers: Endgame’ could assemble one of the biggest domestic opening weekends of all time when it hits theaters on April 26. The latest Marvel adventure is on pace for a debut between $200 million and $260 million, according to early tracking. If estimates hold, it will join its predecessor, ‘Avengers: Infinity War,’ as one of six films ever to surpass $200 million in ticket sales during its first weekend of release. It will easily land the best debut of the year in North America, a record currently held by ‘Captain Marvel’ ($153 million). Given the hype surrounding ‘Endgame,’ it’s hard to imagine the epic finale between Thanos and Earth’s Mightiest Heroes not pulling off unprecedented numbers. After all, advance ticket sales for ‘Endgame’ essentially broke the internet, crashing websites for popular theater chains like AMC and Alamo Drafthouse due to popular demand. One interesting obstacle could be the film’s runtime. ‘Endgame’ clocks in at over three hours, making it the longest Marvel movie yet. When theater owners factor in time for end credits and cleaning the auditorium, it could result in less showtimes per day. 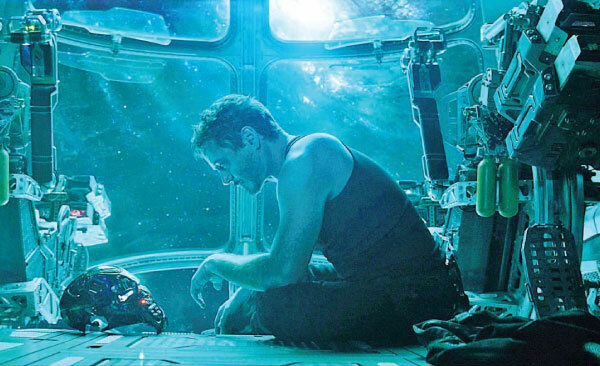 Directed by Anthony and Joe Russo, ‘Avengers: Endgame’ reunites a band of heroes, including but not limited to Iron Man (Robert Downey Jr.), Black Widow (Scarlett Johansson), Captain America (Chris Evans), the Hulk (Mark Ruffalo), Captain Marvel (Larson), Thor (Chris Hemsworth), and Ant-Man (Paul Rudd). The movie is a direct sequel to ‘Avengers: Infinity War,’ which ended with an intergalactic baddie named Thanos (Josh Brolin) turning half the universe’s population to dust. In what is sure to be an epic conclusion, the remaining Avengers are willing to do whatever it takes to revert his actions.